Serial killer Dennis Nilsen will not be prosecuted for the 1978 murder of a 14-year-old schoolboy, the Crown Prosecution Service (CPS) has said. Stephen Holmes was named as Nilsen's first victim after he reportedly confessed in jail to killing him. But the CPS said although there was enough evidence to prosecute Nilsen, it was not in the public interest. Nilsen, 60, was jailed in 1983 after admitting killing 15 young men, mainly homosexuals, at his north London home. Nilsen was said to have identified Stephen, who disappeared in December 1978, from a photograph. Last year Scotland Yard reopened its inquiry into Stephen Holmes' disappearance, which saw Nilsen undergo fresh interviews. He was said to have confessed to the killing in January. The reviewing lawyer Rene Barclay, said there was sufficient evidence from which a jury could be satisfied that Stephen was Nilsen's first victim. 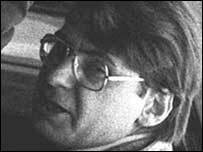 He said that was based on admissions made by Dennis Nilsen in police interviews in 1983, the coincidence in timing and location between Stephen's disappearance and Nilsen's account of his first victim, and the similarities between Nilsen's description of his first victim and Stephen Holmes' appearance. "As well as considering if there is sufficient evidence to prosecute Dennis Nilsen, I also have a duty to decide whether it is in the public interest to do so. "I have concluded that it isn't." He said one of the deciding factors was that because Nilsen was serving a life sentence, he would not receive any additional sentence, even if convicted. Secondly, although Nilsen was originally tried on an indictment of eight counts, six of murder and two of attempted murder, he said evidence of his confessions to nine non-indicted murders (including the first killing) was introduced by the prosecution at the trial to support the case against him. And thirdly, he said he took into consideration the "clear views" of the boy's family. "The re-investigation into Stephen's disappearance, the review of the case and the conclusions the police and I have reached about how Stephen met his death shortly after he disappeared will have been a difficult and painful reminder for his family of their loss," Mr Barclay said. He said he had written to Stephen's family explaining the decision. The former policeman was jailed for life in 1983, on six counts of murder and two of attempted murder. He is serving his sentence at Full Sutton prison in York.